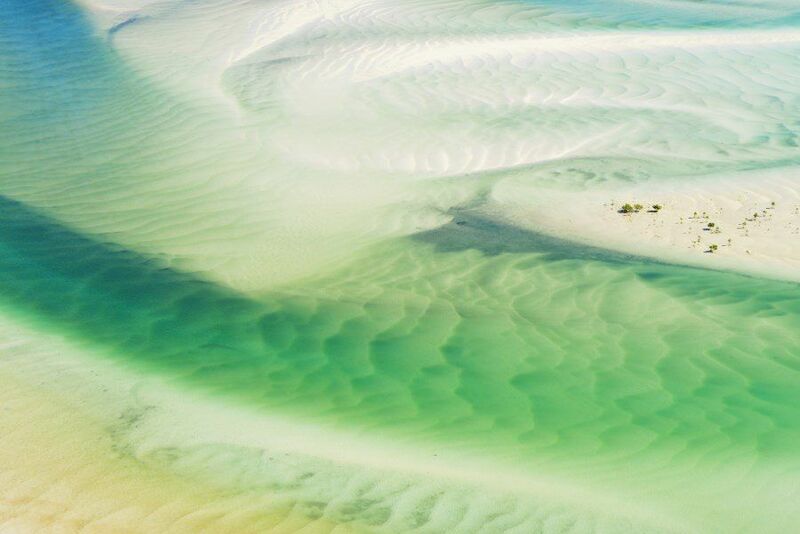 From the air Whitehaven Beach is like an abstract painting. 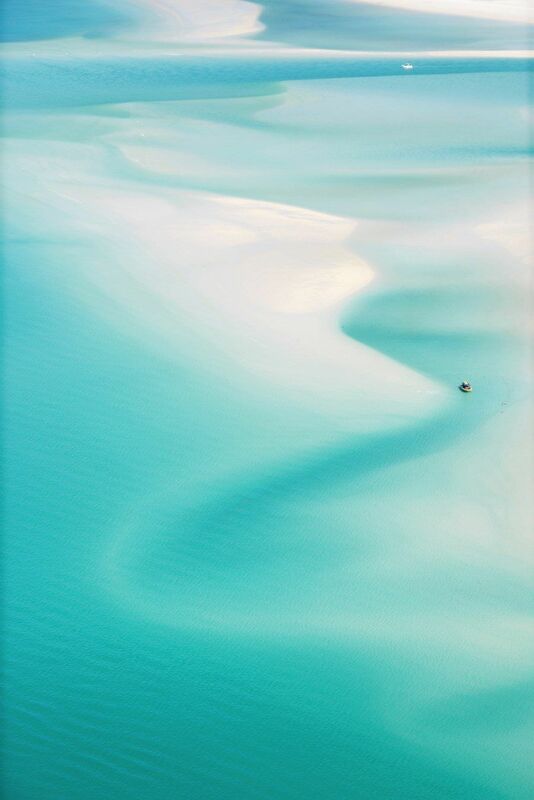 It’s sandy swirls, teal water and carved channels twist and turn like Picasso’s paint brush. Okay so Picasso is one of the few artists I actually remember from art class but Whitehaven is definitely worthy of gallery walls, I know that much. 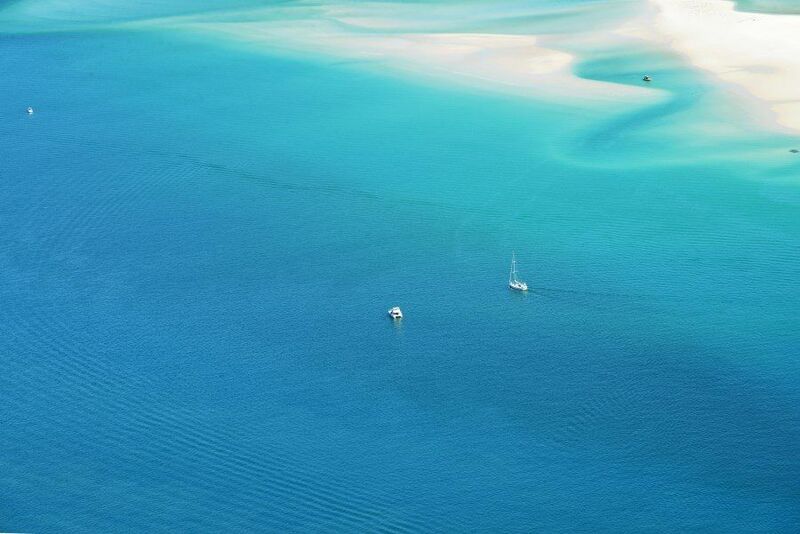 Located on Whitsunday Island off the Queensland coast in Australia, Whitehaven dazzles with it’s beachy goodness. Regularly named on the world’s best beach lists, it’s not hard to see why this stretch of sand is one of the most visited in all the land. 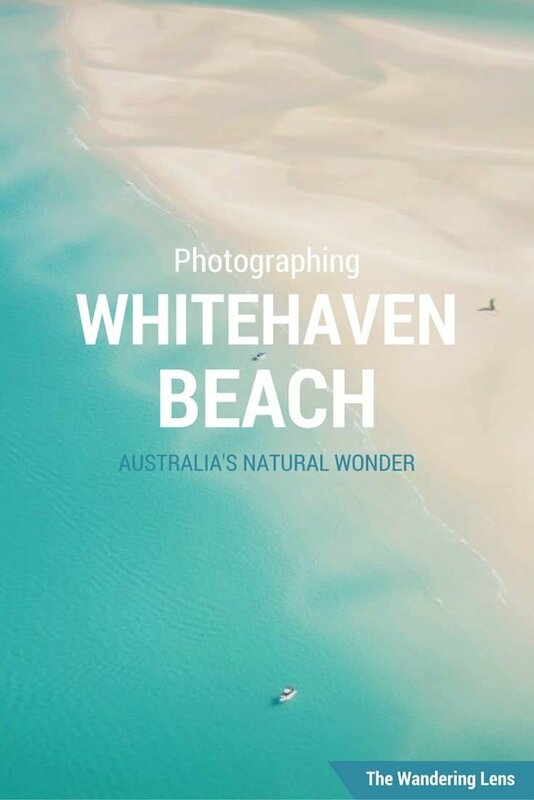 What makes Whitehaven so special is the delicate silica sand which at approximately 98% is among the purest in the world. The beach also covers 7km which means a whole lot of pure white sandy beach to stroll along. 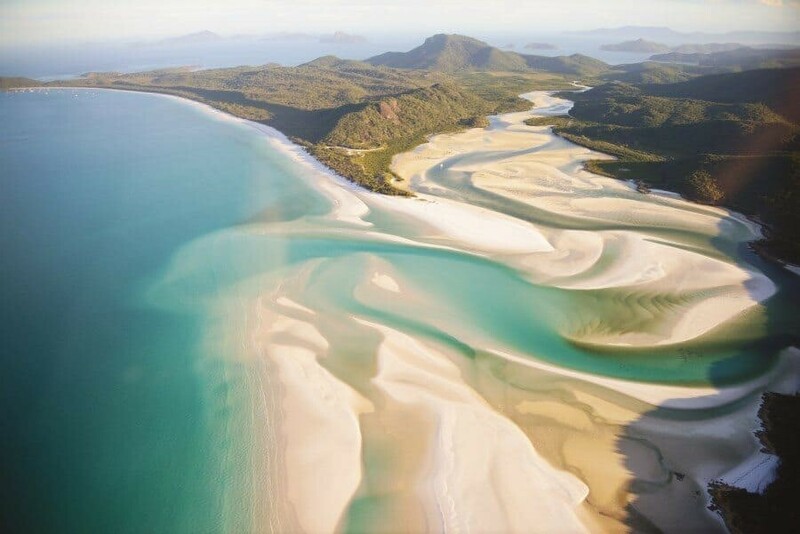 Access to Whitehaven Beach is only possible by boat, seaplane or helicopter meaning if you arrive early, you may just have it all to yourself! 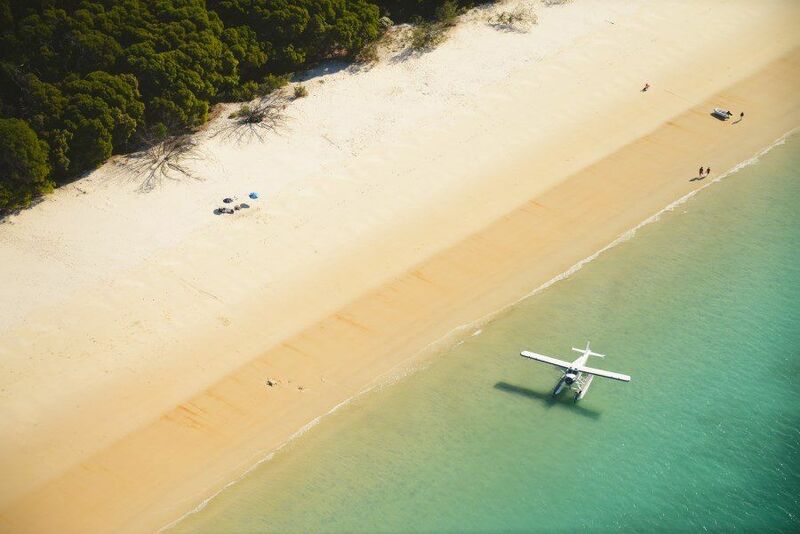 During the day tourist boats begin to arrive from nearby Airlie Beach and the resort islands but there’s always enough beach for everyone. 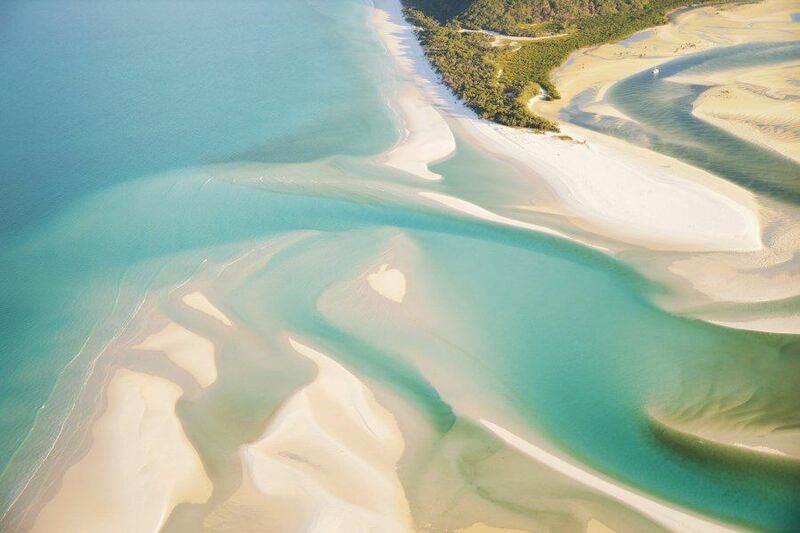 In the northern section you’ll find Hill Inlet, which in my opinion is where the real magic happens. 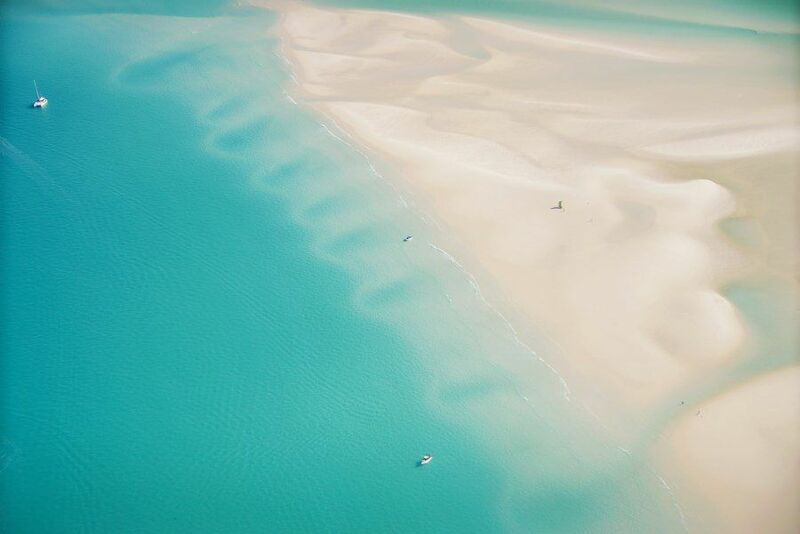 The white sand and teal coral sea blends together at the mouth of the inlet, forming one seriously breathtaking landscape! 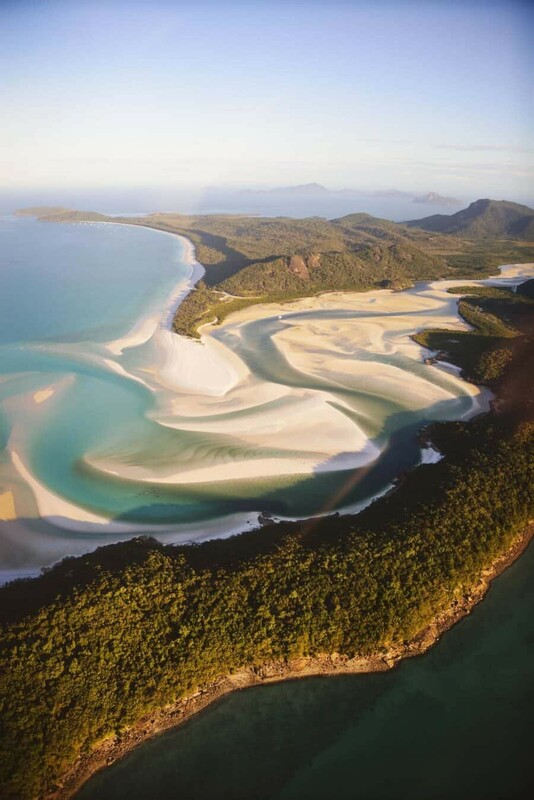 For photographers keen to get that iconic shot of Hill Inlet and Whitehaven Beach you can either hire a seaplane and helicopter to get up high, or hike. Hiking to the lookout at Tongue Point gives you a relatively high viewpoint over the inlet. The bright colours and patterns are all still visible and the hike only takes about 20minutes from the water! 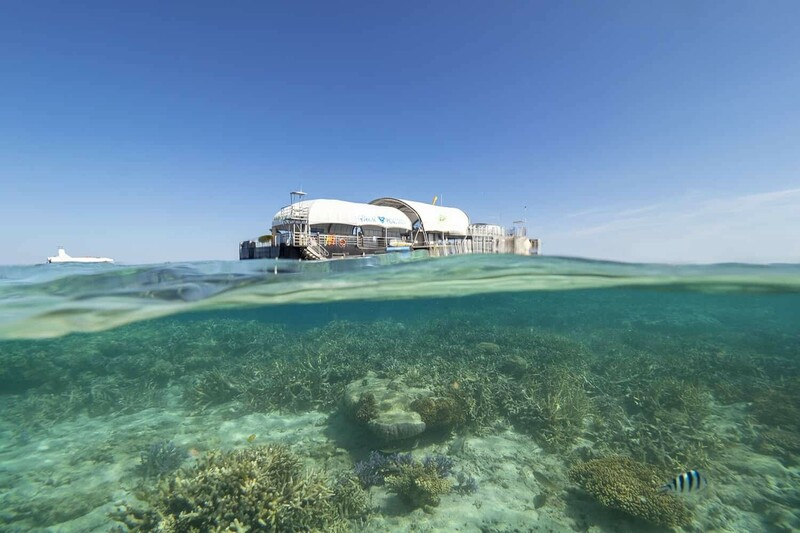 Those keen to get a little higher will need to book a trip from the island resorts or mainland with a helicopter or seaplane charter company. Best Lighting: Mid morning is when you’ll see the colours in their full glory, shadows will start to creep across in the corners during the late afternoon. Best Tides: Water colour is completely dependent on the tides and previous rainfall so you’ll need to check tide times before you head out. 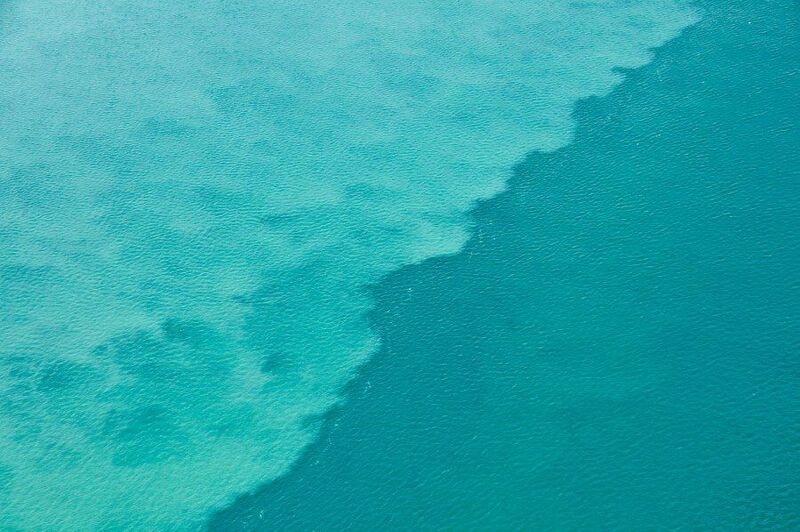 An incoming tide will bring water from the coral sea usually resulting in the blue/teal colours, an outgoing tide especially after heavy rainfall will result in browner/greeny colours. The outgoing tide doesn’t always mean brown colours though, if there hasn’t been much rain around you’ll find the sand swirls are simply more defined as they’re higher toward the water level. Photo Tips: While the scene is mesmerising and almost begs for a wide-angle landscape shot, keep an eye on the smaller details too. 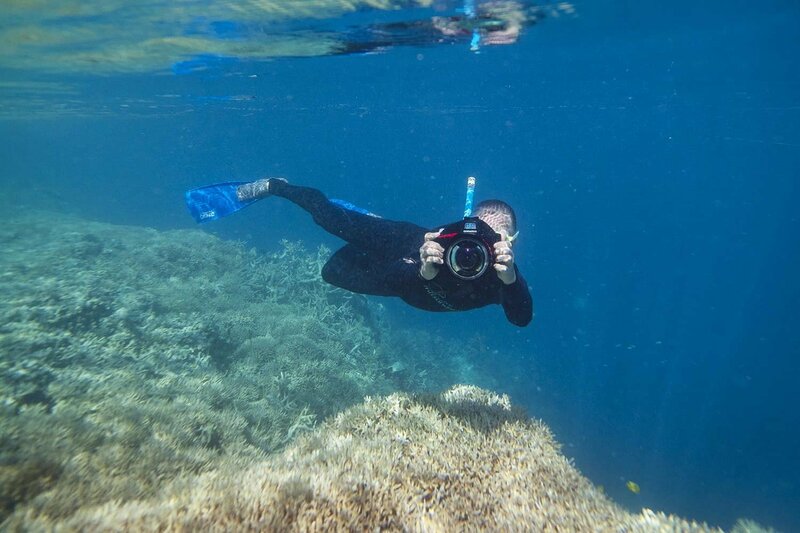 Once you’ve grabbed your iconic wide shots, zoom into the sand patterns, swirls and if you’re lucky you’ll also be able to see sting rays swimming in the shallow water. 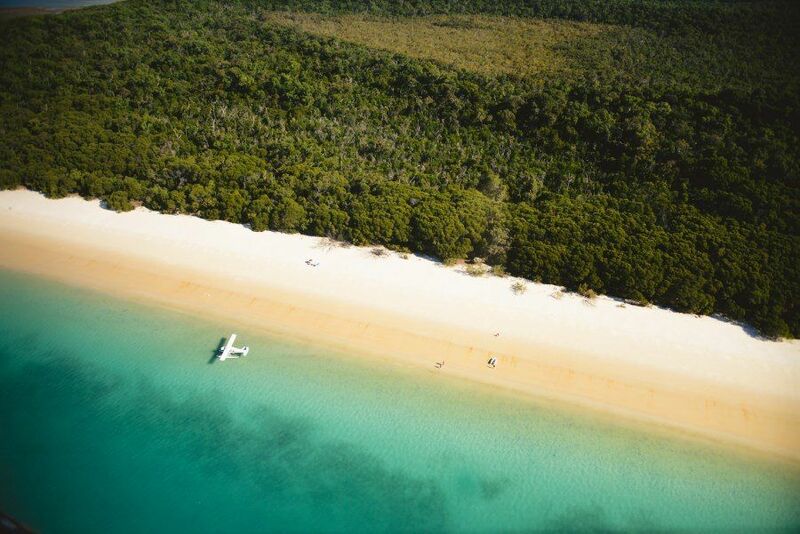 Take a read of my previous articles below to perfect your shots from the air and beach! Epic photos Lisa! Absolutely love the colours! 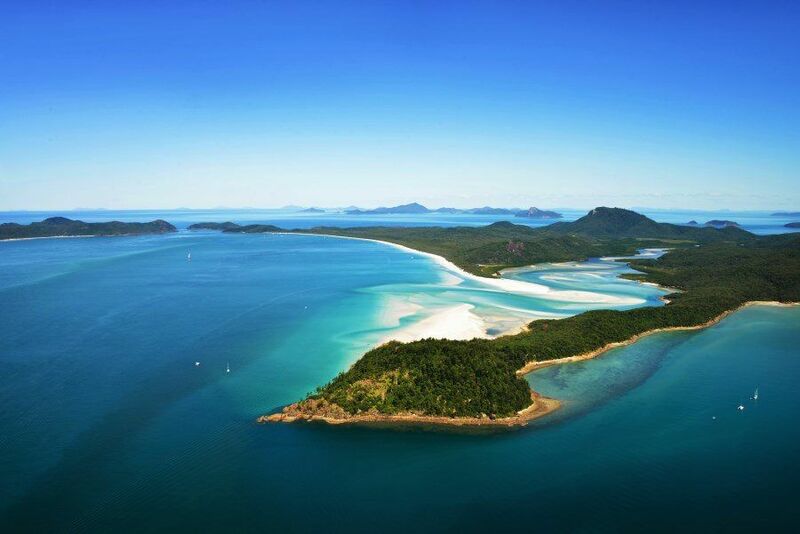 Fun Fact Whitehaven beach was just named 2nd in the top 50 beaches in the world by Canada’s largest travel website!